Sandor comes across Beric Dondarrion and Thoros of Myr, who are preparing to hang the remaining men responsible for the attack on the village. Sandor bargains with Beric, who allows him to personally hang two of the men. Beric and Thoros try to recruit Sandor into the Brotherhood explaining that they intend to head north to fight the White Walkers and need his strength. 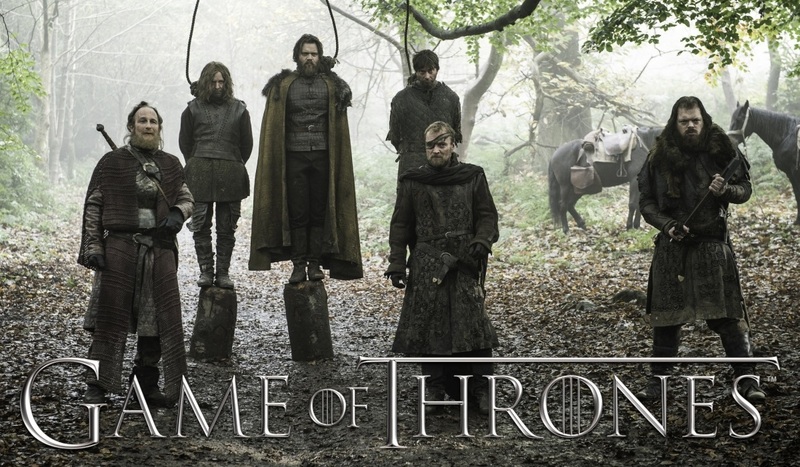 SANDOR: Hanging? All over in an instant. Where’s the punishment in that?